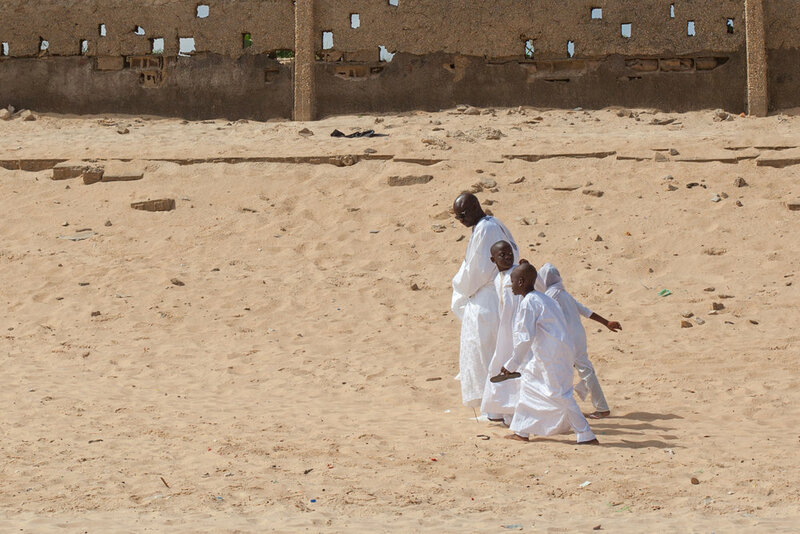 Boys playing football on a beach in Dakar in front of the Grande Mosquée de Yoff. Muslim Girls on a beach in Senegal. Grande Mosquée de Yoff, Dakar, Senegal. The Grande Mosquée de Yoff, Dakar, Senegal. A mosque in West Africa, travel photography by Geraint Rowland. A family returning home after Sunday service at the mosque in Dakar. The town of Yoff is built along the broad beach at Yoff Bay which faces the Atlantic Ocean, directly north of the centre of Dakar. Here is a previous photography blog I wrote about Yoff Beach and the people that live there. 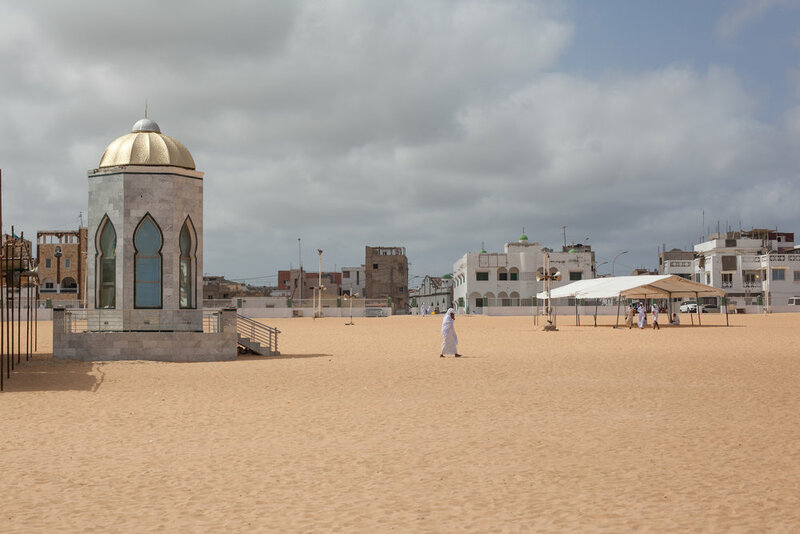 The large mosque is built right on the beach just metres from the ocean. For much of the week the mosque seemed relatively quiet without much activity, almost ignored by the locals. However on a Sunday morning the mosque is full of locals who attend the weekly service and then often congregate on the beach afterwards. The beach is a fascinating place and great for photography, it is full of life and activity on a daily basis. During the time of the Tabaski Festival you will see children leading animals to the ocean for a wash. At the far end of the beach, past the mosque is the fishing village full of traditional, colourful wooden fishing boats. The surf at Yoff beach is also very consistent and is home to a couple of surfing schools and cheap friendly hostels. During the summer the beach also has some some of the best sunsets I witnessed in Senegal.